This is a cafetal and nothing else. I usually just use the most fitting English translation someone else before me found for the sake of readability and consistency for those who read other things about coffee. When I compile this all into a book I will leave them all in Spanish, and the preface will be coffee vocabulary, because there are words with no adequate acceptable English equivalent, words that require a paragraph to define. I’m pretty stubborn about calling a beneficio a beneficio rather than a “mill,” because to me a mill belongs to a wheat miller, and is dry and often associated with “stone ground.” And coffee beneficios wet, sticky, fermenting piles of pulp surrounded by clouds of flies. They’re not the same thing, and therefore I usually refuse to use the same word. But for now the one word I always refuse to degrade through mistranslation is cafetal. The existing translations are “coffee field,” “coffee farm,” or “coffee plantation,” but none of these is accurate. All of these words immediately evoke images of expanses of flat space with homogenous rows of planted things. English’s agrarian language is one of amber waves of grain. We in the US don’t grow things in our mountains. Here they do. And English has no words for what it looks like. A cafetal is not a farm because farms don’t include forests, and all cafetales are a species of forest- even those with zero shade- because coffee plants are trees. A cafetal is not a field because fields are flat and fairly uniform, (maybe coffee growing regions in Kenya or Brazil are flat and fairly uniform, but then they would be called shambas or fazendas) and here cafetales are never flat and no where near uniform. A cafetal is not a plantation because plantations are massive with an owner rocking on the front porch in clean linen and hired help (be it migrant labor or yesterday’s slaves) hard at work, and cafetales are owned by families who work in them themselves, even when they do hire some additional help. And even though all cafetales are a sort of forest, cafetales are not coffee forests, because “forest” evokes in the North American reader the image of towering pines and dense groves of oaks whose leaves change every fall. The places coffee grows are inherently different from the places where most coffee is consumed, which is why it can be grown there when it can’t be grow in England or Oregon. This means that coffee language is tricky, because the growers have words for things that simply don’t exist in other places. Across the Spanish speaking slice of the global coffee production belt, finca is the unanimous term for property someone owns, and cafetal is the blanket term for the part of that property where coffee is grown. Spanish does something cool with the suffix –al that we can’t do in English: it turns any product into the place where that product is grown. 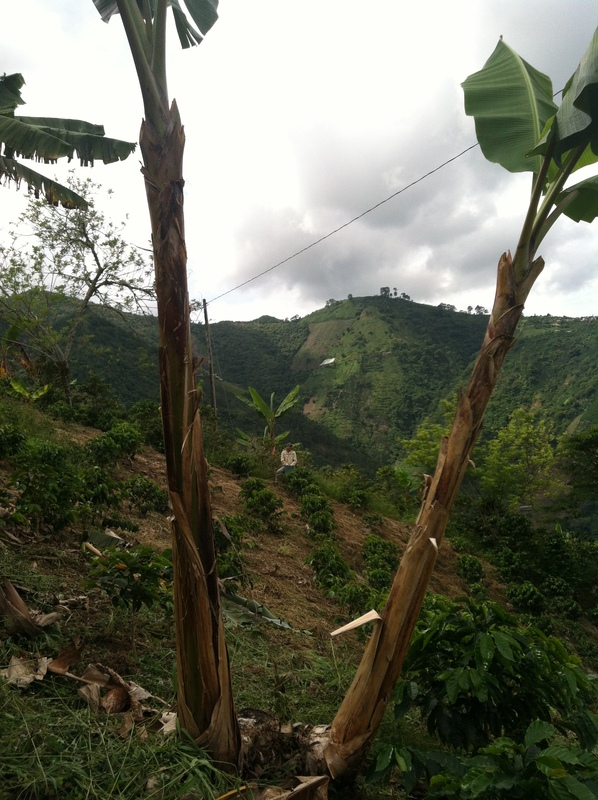 Cañal, where the caña (sugarcane) is grown; maizal, where the maiz (corn) is grown; cafetal, where the café is grown. The suffix carries none of the implications that do English’s “farm, field, plantation, forest,” of the topography or flora or fauna of a place. It just means “place where that’s grown,” whether that place is steep, flat, shaded, small, expansive, overgrown or immaculate. Every cafetal is unique, and country by country there are trends, but cafetales are always places where coffee is grown. At least the word tinto can be translated! Yes, tinto is translatable and tasty! I’m glad you’ve enjoyed reading through When Coffee Speaks. I just posted Part 3 of Juan’s World, with Part 4 coming soon. Hopefully I’ll get all the accompanying photos up as well! En idiomas tan direnetes como el inglés y el español y ms aún en contextos tan diferentes como la vida estadounidense y la colombiana, siempre van a haber términos de dificil traducción, pero ahi se demuestra la riqueza de nuestros idiomas!!!! I love the articule, its great!!! Si! La riqueza de todas idiomas, y lenguaje/palabras en general, es que no tienen solo definiciones sencillos, sino significados amplios y culturales. Thanks for reading! Hopefully I’ll make it back to Jardin prontito!